Bhubaneswar: 52 persons have died in the state in Cyclone Titli-related incidents; as per preliminary estimate, property worth Rs 2,200 cr damaged, says Chief Secy AP Padhi after a review meeting. Speaking to mediapersons after the meeting, Padhi said Gajapati district reported highest 39 deaths while 12 casualties were reported from Ganjam and one each in Kandhamal, Angul, Nayagarh, Cuttack, Keonjhar and Rayagada districts. That apart, 10 people are reportedly missing,” Padhi said. Padhi said as per the preliminary estimation there has been a loss of Rs 2,200 crore caused by the cyclone and subsequent flood in the state. 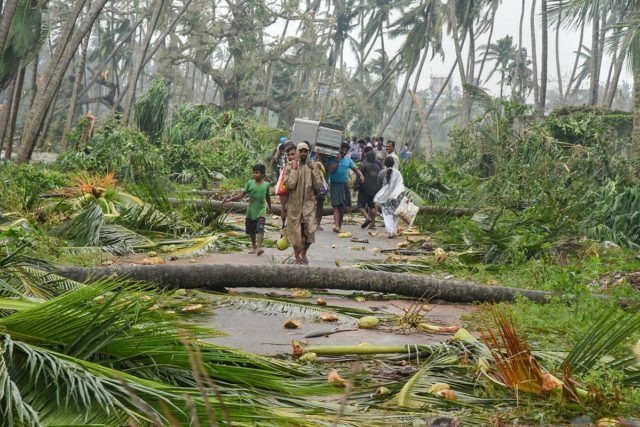 “While the damages caused to roads by the cyclone and flood have been estimated to be Rs 500 crore, the electricity loss was Rs 133 crore and house damage loss was estimated to be 150 crore,” Padhi added.